In Danaher Product Identification’s latest study, “Packaging and the Digital Shopper: Expectations in Health and Beauty” 62% of shoppers did not see a value in health, beauty, and personal care items personalized with their names. However, according to the survey, respondents did see value for products specifically customized for their skin or body type with personalized instructions; 22% of shoppers said they are highly likely to purchase or would like to see more customized products. 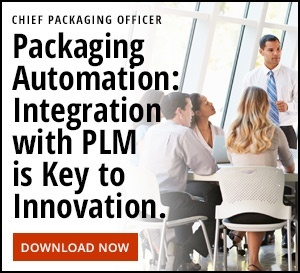 To succeed in today’s market of mass choice, major brands must adapt their packaging strategies to meet this unmet need. From hair care to OTC medications, providing usage guidelines or instructions that are clear, customized, visually appealing and easy-to-read is an innovation area for brands. There are also opportunities to use color to enhance and customize products. Color can be used to create a powerful strategy for beauty brands within their packaging to help create provide an engaging custom experience. ColourPop is a growing online cosmetic company that allows shoppers to purchase eyeshadows in single pods; placing each shadow into a larger six- or twelve-pod case. There are plenty of opportunities to personalize that eyeshadow case packaging with the name and eyeshadow colors while providing customized tips on the application using those specific color palettes. Beyond the beauty category, there are opportunities for personalization within personal care. Personally selected color or patterns on tools such as hair dryers, and other styling tools can appeal to shoppers. Even personal care items like shampoo or toothbrushes can be presented in an experiential way using color. Color can invoke a sense of personal style or represent a lifestyle and engages even the youngest of consumers at a very base level. Personalization first became a hot trend with monogramming and having an individual name printed or engraved on a product. Color can be used in a subtle and powerful way to engage with all kinds of people beyond the written word. Think of two young children who share a bathroom. Before they are able to read, they frequently rely on color to differentiate most of their personal care products. An opportunity for them to select a personal color for their toothbrush might be enticing. Imagine a sorority house with multiple hair straighteners and blow dryers – a pattern or a personal color on the packaging or product might be useful and makes a statement for the individual. Why don’t we see more personalization in beauty and personal care products and packaging? Brand leaders must connect the product to the consumer experience at the speed of consumer expectations. Unfortunately, consumers’ expectations are quite different than the reality for most consumer packaged goods (CPG) companies. For instance, consumers expect packaging changes to take a mere 24 hours, but brands take 198 days to implement them. There is an opportunity for customization to impact packaging and the consumer experience, but FMCG companies must be collaborative in how they do it. Operationally, many FMCG companies’ departments function in silos. 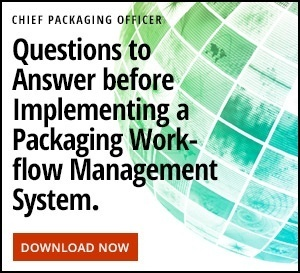 These silos create friction, disconnect and therefore, delivering changes and customization to the product or packaging at the demand of the consumer becomes impossible. Working together across the value chain using workflow software makes it easier for teams to communicate changes quickly and adapt to growing consumer desires. Beyond communication across departments and the value chain, companies must look at the consumer and strategy from multiple angles and ask themselves the following questions: what is the product function, who is our demographic, how will consumers use the product? Once they have answered those questions, companies must tie-in the psychological connection that color can play within the product’s packaging. Ideally, when incorporating customization into the product and packaging, companies consider a three-tier approach. Regionalization. As your first point of entry, regionalization focuses on entering a specific country, such as China. Localization. Once you’ve entered the country, localization relies on entering a specific market within the country, such as Shanghai. Personalization. Once you’ve entered the target market and city, personalization ultimately targets a specific. Within the Shanghai locality, what prevalent personas are interested in the product and how do they like to be marketed? Specifically for color customization, regionalization could be selecting product colors that resonate with the country, localization could be selecting additional colors that align within a specific market, and personalization could be selecting the right color to match what a particular persona or consumer desires. If beauty or personal care brands can successfully penetrate one tier of their desired market, it becomes easier to achieve penetration across all tiers. It’s important to note that color consistency is still key, perhaps even more so in customization and personalization. People strongly relate to their color identity, look at pop-icon and celebrity, Prince or The Muppet’s own Kermit the Frog. When consumers choose a specific color to create their own product, they are more committed to that color. They have invested thought, time and money in choosing the perfect shade for them. They care whether or not the color matches what they chose to create; therefore it is imperative to keep the color consistent across the consumer experience. There is an untapped opportunity here within customization for CPG brands, particularly within the health and beauty categories. Brands that consider implementing a three-tier approach to customization, crafting the perfect regionalization, localization and then personalization strategy can truly better adapt to consumer’s desires for tailored products and packaging. And of course, those who utilize color will find a unique way to connect with consumers, providing a truly unique packaging experience. To learn more about this and other 2019 Packaging Trends, download our ebook.